Maybe it´s that the U.S.A. is such a young country compared Europe but we love sharing our unique historic discoveries. This might include a 2000-year-old Roman theater to medieval Moorish castles that were conquered by Christian crusaders. There are also massive gothic and Renaissance Cathedrals as well a beautiful monasteries where monks still chanting. Maybe it´s that the USA is such a young country compared Europe but we love experiencing unique historic places. This might include 2000-year-old Roman temples or theaters to medieval Moorish castles that were conquered by Christian crusaders. There are also massive gothic and Renaissance Cathedrals as well a beautiful monasteries where you can hear the monks chanting at certain times. Some people say they can feel something unique and powerful in some of these historic places.We just love connecting our customers to these places, that are often not on the radar screen of the mass market tours. Enjoying meals with a view of beautiful historic places can be an amazing memory. 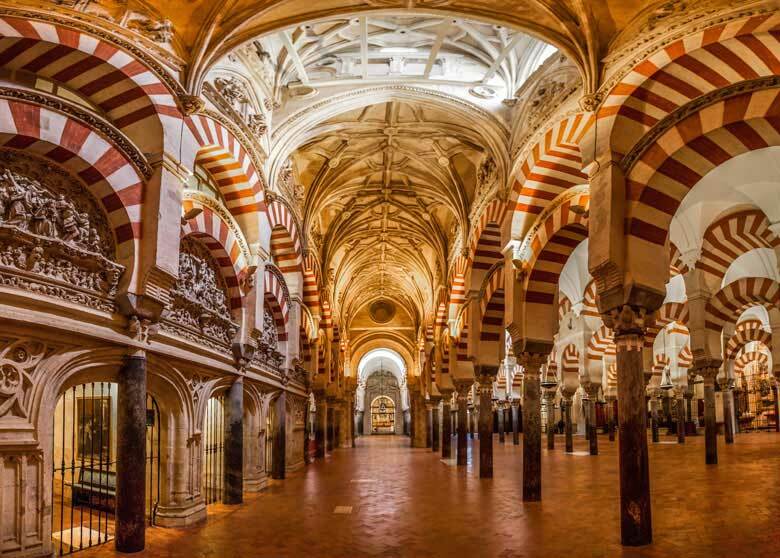 Here in Iberia, observe remnants of the Roman and Moorish Empires in Spain at every turn, as well as reminders of a time when Christianity, Islam and Judaism coexisted in harmony in medieval Spain. See gigantic cathedrals, castles and fortified walled cities that have endured through the centuries. Experience Spain’s many World Heritage Sites (ranked 2nd in the world after Italy) and stay in parador hotels – each a historical gem in its own right.